I have not been much of a cricket enthusiast. But there is something about this game that is addictive. Call it the money, the name, the fame or purely the adrenalin rush when you see INDIA win! I have always closely followed the lives of few cricketers for it inspires me to read how they went to become someone from no-one and will soon become a no-one once their cricket career is over. The biggest reason why I wanted to read this book was it is was an autobiography and I always believe that such books help in knowing an individual better than just having a biography written by someone. And needless to say Brett Lee is a cricketer I always wanted to know more about. When I put the cap on, the crowd cheered. I did not want to take it off for the rest of the day. Brett Lee is one the cricket’s most prolific personalities.James Knight began his media career in 1988 as a radio journalist. Since then his work has spanned television, newspapers, magazines, the internet and guest speaking. 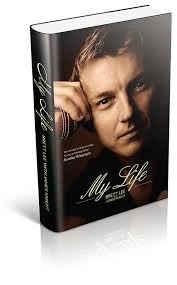 The moment you hold the book in your hand the first thing you notice is the cover page which has Brett Lee’s close up picture with a ball in his hand. You look into his eyes to see what made him The Brett Lee when he was on the field- passion. Raw passion mixed with pure love for this game was what ensured he did all that he was able to throughout his cricket career. As I flip through the pages I see a very different Brett Lee than the one who is portrayed in the media or rather should I say the one we know through the media. His dedication of the book to his son Preston is so touching when he writes there “ For at the end of the day I am just Daddy!” says it all. Each and every page opened new chapters of his life, showing things which were not known making me realize how little do we know about people whom we admire so much as celebrities. We judge them basis so many things but when such books come out they make us fall in love with them yet another time for this time we are able to see them as us. As humans who err, fall, hurt, cry, and break down and yet get up to start chasing their dreams again. The beautiful pictures shared here take you back to those days as after a while you can actually hear Bret Lee’s voice talking to you as you take a walk down the memory lane with him. This book is like Aloo Bhujia. 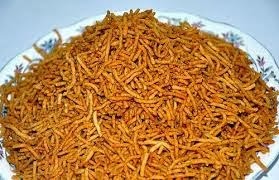 Crunchy, delicious and tasty! Every review I read of yours, makes me want to buy that book! So far I have order some 4-5 books only because of your reviews. Wow that's truly a compliment!! !